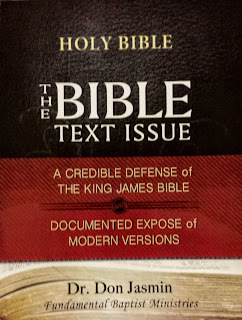 "The Bible Text Issue" by Dr. Don Jasmin (Director of Fundamental Baptist Ministries and Editor to The Fundamentalist Digest) is a treasury of sound and solid defense of the King James Bible, and sermon outlines (with an insistent alliteration style) which are highly useful for any preacher (pastor, missionary, or Bible teacher). Dr. Jasmin brings 64 years of faithful preaching and teaching experience to this book defending the magnificent and faithful translation of God's Holy Word in the English via the King James Bible. Nearly every line is substantiated with Bible verses. The strength of this book is not the author's opinion but rather the Scriptures that validate what the author has observed. The book contains more than 341 pages of fascinating reading materials that is sure to edify the traditional Bible-believer and correct false teaching and opinions of modern version advocates. 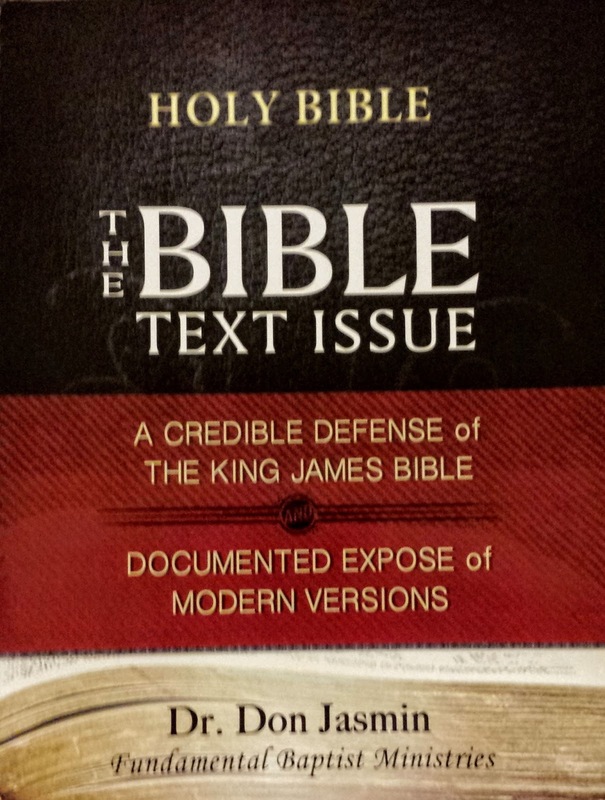 "The Bible Text Issue" is spiral bound. Dr. Jasmin avoids the pitfalls of "double inspiration" theory and that only the "message" is preserved by God as opposed to the actual words. The author champions the Biblical and historical position of the Providential (or Perfect) Preservation view of God's Holy Word. Any student of the Bible will benefit from a careful study derived from this book. Thank you, Dr. Jasmin for your steadfast conviction that God has indeed given us an authoritative Word that is forever settled in Heaven. Thank you for your hard work in putting such a book like this in writing. May we value His Word as our finest treasure on earth. P.S. Dr. Jasmin has also authored several other titles including "Great Doctrines of the Faith," "Quotes and More Quotes," "Manual in the School of Prayer," and many more, not to mention forthcoming titles. You may contact Dr. Jasmin at 989-873-4778 or click on their website at http://www.fundamentalbaptistministries.com.